Apple's new iPad: 3+1 = Retina. Apple presents two new iPads. The Mini is small and the 4th version of the iPad is named "iPad with Retina display". Got it? The question is: do the A6X chip, a better front camera and Lightning interface justify a new name? Nowadays, if a new Golf model from Volkswagen is launched, it is named appropriately: Golf 7. On the 2nd of November 2012, the fourth generation of Apple's iPad hit the shelves; but is it called iPad 4? 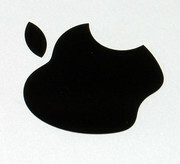 No, but that was to be expected as Apple named the third iPad, the "The New iPad". Naming the fourth generation "The Brand-New iPad" would have been a bit over the top, so Apple decided to call the iPad 4, the "iPad with Retina display". However, this is an equally odd choice for a name as the display has not changed from the predecessor. Anyway, the new iPad is here and for the sake of simplicity we will call it the iPad 4 for the rest of the review. The iPad 4 is equipped with a new Apple processor and the new Lightning interface. This interface is used in the iPhone 5 and has replaced the dock interface previously used by Apple. The iPad 4 includes an improved front camera. The prices have stayed similar to those of the predecessor. Our test model, the Wi-Fi-only version with 32 GB memory, costs 599 Euros (~$761) and is available in black and white. The LTE and 3G model should come out by the end of November. As before, Apple will ask for 829 Euros (~$1053) for the Wi-Fi + Cellular model with 64 GB memory. According to Apple, the new A6X chip performs twice as fast as the predecessor. As usual, the case has amazing build quality. The case now sports the more compact Lightning interface. We described the new interface in detail in the iPhone 5 review. The workmanship and material quality of the iPad have been flawless since the first generation. Apple can still improve the measurements and weight of the device. Due to the 4:3 build ratio and the weight of 652 grams, single-hand use will quickly tire out the user. The device has not gotten thinner: 9.4 mm is still ok, but not slim. Much of the above is true for the iPad 2 and the iPad 3: the material quality, workmanship and sturdiness of the tablets are without peer. Most of the changes to the iPad 4 (in comparison to the predecessor) have taken placed under the hood. First of all, we have the new processor: the Apple A6X, the second new SoC (System-on-a-Chip) to launch from Cupertino this year. The launch of the iPhone 5 a few weeks ago was the premiere of the A6 chip. This chip has heated things up in the smartphone market and currently has few worthy competitors. Only the Samsung Exynos 4412 can claim to perform at the same level. The predecessor, A5X of the iPad 3, is supposedly beaten by 100% in both CPU and GPU performance by the new A6X. The new processor is based on the Apple A6 architecture, and, similar to the iPad 3, it receives a stronger graphics unit: the PowerVR SGX554MP4 (represented by the X in the name). More information about the brand-new SoC can be found in the Performance section of this review. The RAM stays constant at 1024 MB DDR2. Our black test model has WLAN and 32 GB internal memory; the price for this configuration: 599 Euros (~$761). As usual, the iPad has few ports: a headphone jack and the multi-functional Lightning interface. 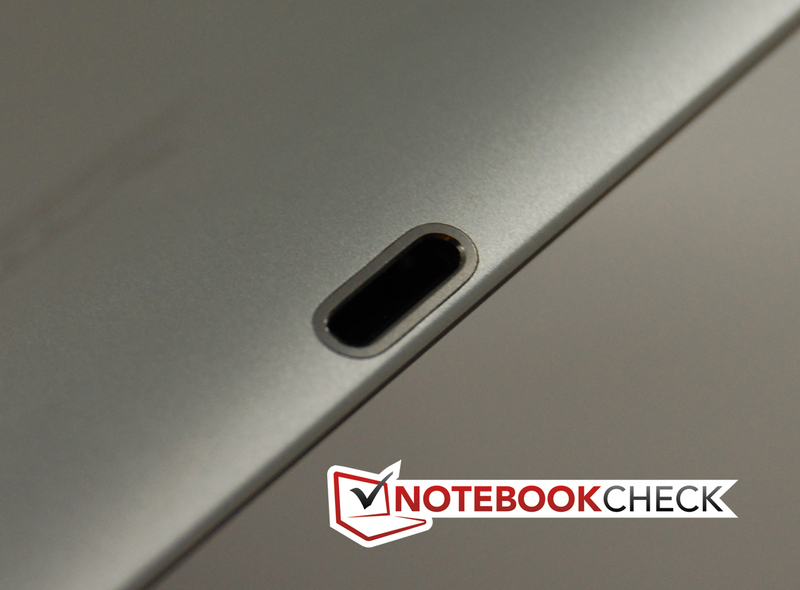 Of course, no one really expects Apple to include a microSD slot or USB port. As soon as it started, iTunes threw a pop-up, notifying us of an updated operating system. 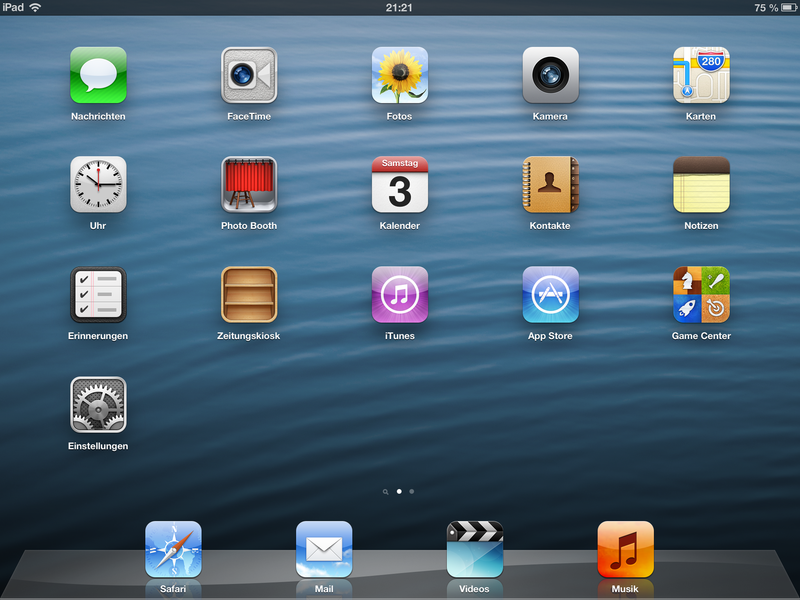 That is why we test the iPad 4 with the latest installment of the popular Apple operating system: iOS 6.0.1. The new version only includes minute changes from version 6.0 (which is only a few weeks old). The manufacturer has not done anything about the map App flaw, which we criticized in our review of the iPhone 5. More details about the iOS 6 can be found in the iPhone 5 review. The wireless connectivity of the Apple iPad Wi-Fi with Retina display extends to WLAN and Bluetooth. The modules support the new standards. This means that the Dual WLAN antenna works with 2.4 and 5 GHz networks and supports 802.11a/b/g/n with transfer rates up to 150 MB/s. Bluetooth 4.0 is also the latest version. As Apple does not allow any transfer per Bluetooth, the iPad can only make limited use of this feature. However, this does help the battery life. The Wi-Fi + Cellular version will be available at the end of November. It supports 3G and LTE and includes a GLONASS GPS receiver. 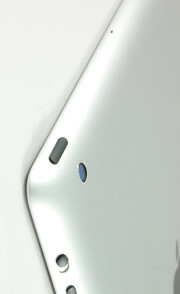 As in the iPad 2 and the 3rd generation model, the new iPad with Retina display is accompanied by two camera modules. While the back still sports a 5 megapixel module and supports 1080p video recording, Apple has (finally) changed the front camera. Up till now, the front module was a weak 0.3 MP sensor, which could only record videos in VGA quality. The new FaceTime HD camera with a 1.2 MP resolution promises more: video recordings in HD quality (720p). VoIP software, like Skype and Apple's own FaceTime, will benefit from this improvement. The front camera is not suited for taking pictures. The captured pictures are too grainy. The rear 5 MP module does a much better job, but still lacks the necessary sharpness. Thankfully, the colors and contrast are good. In the darkness, the two sensors are quickly overwhelmed; this is evident from the strong distortion in the capture pictures. The two cameras work well/very well when capturing video. Both modules adjust well to changes of the brightness in the surroundings. As long as the surroundings are bright, the cameras can produce great videos. However, in the evenings and nights, the recorded films lose quality. The playback of HD movies is weird on the tablet due to the 4:3 display ratio. 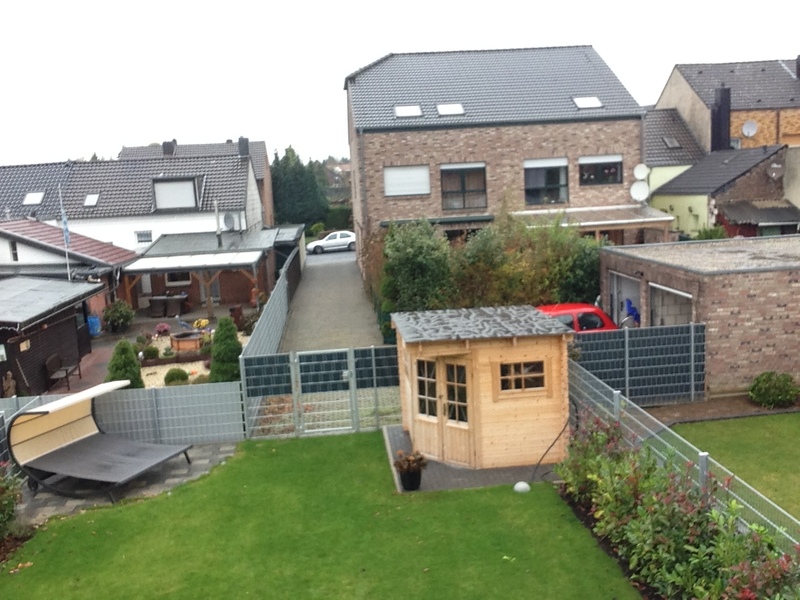 The user has to settle for thick black borders or zoom to full screen, but this would cut out a significant part of the picture. Overall, the quality of the cameras is sufficient - not more, not less. Apple sticks to tradition and delivers very little with the iPad. The elegant cardboard box includes little more than a few manuals and a charging/transfer cable. However, the list of optional and expensive accessories is extensive: Apple lists hundreds of products (from themselves and from third-party manufacturers). Everything imaginable is included: hulls, covers, docks, mounting brackets, headphones, display protection films, etc. Apple provides only 12 months of guarantee for all its devices. The Apple Care Protection Plan is also offered for the iPad 4. This packet will extend the guarantee to two years and costs 79 Euros (~$100). The packet has to be bought in the first 12 months after the purchase of the iPad. In this section, we did not note any new features. 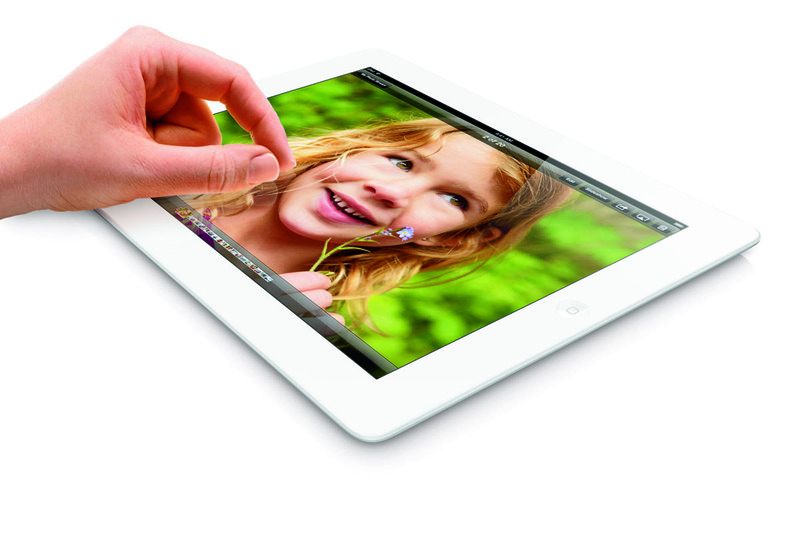 The iPad 4 uses a capacitive touchscreen, which is reliable and precise. The finger slides over the glass surface without much resistance, and, although the screen cannot be easily scratched, it does attract fingerprints and smudges. Although the iOS interface has become more complex with each version due to the wide range of functions and settings constantly being added, iOS 6 is still easy-to-use. The interface is inviting and navigation of the tablet is child's play. Apple has made slight changes to the keyboard layout: since iOS 6, the German umlauts can be blended in permanently on the main keyboard. 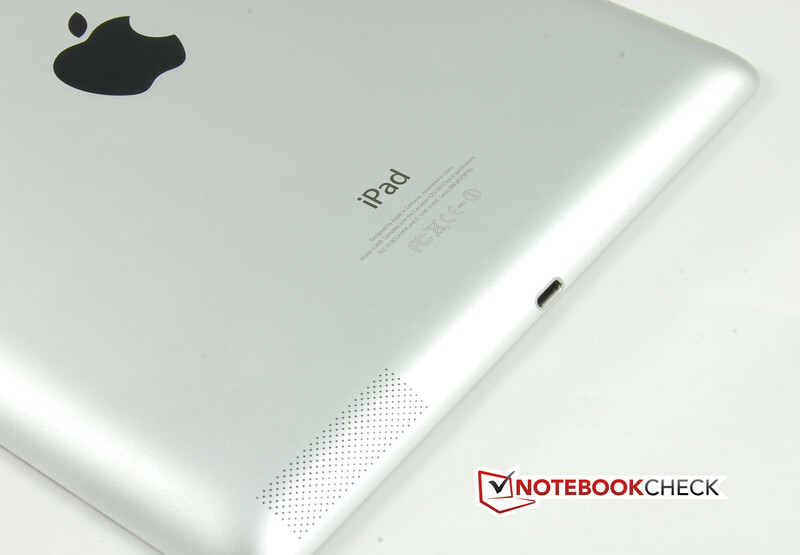 More information about the input devices can be found in the review of the iPad 2. The predecessor could boast of a cutting-edge display, but time has passed and the successor, iPad 4, still sports the same screen. Apple's marketing tag, "Retina" has been applied to the iPhone 4 and iPad 3 in the past. Now it is transferred to their latest creation. This tag refers to a display with a relatively high resolution and an IPS panel. As mentioned before, the new iPad sports the same screen as the previous model, or, to be more accurate, the same screen used by many manufacturers, one of which is Samsung. The resolution of the "new" display is (once again) 2048x1536 pixels and this results in a pixel density of 264 PPI (Pixels Per Inch) due to a screen diagonal of 9.7-inches. 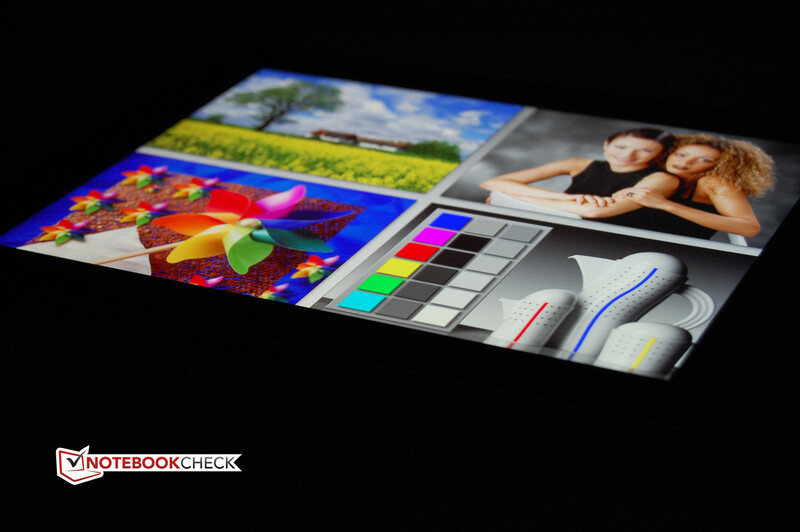 In comparison, the Asus Transformer Pad Infinity TF700T has a resolution of 1920x1200 pixels and a 224 PPI pixel density. 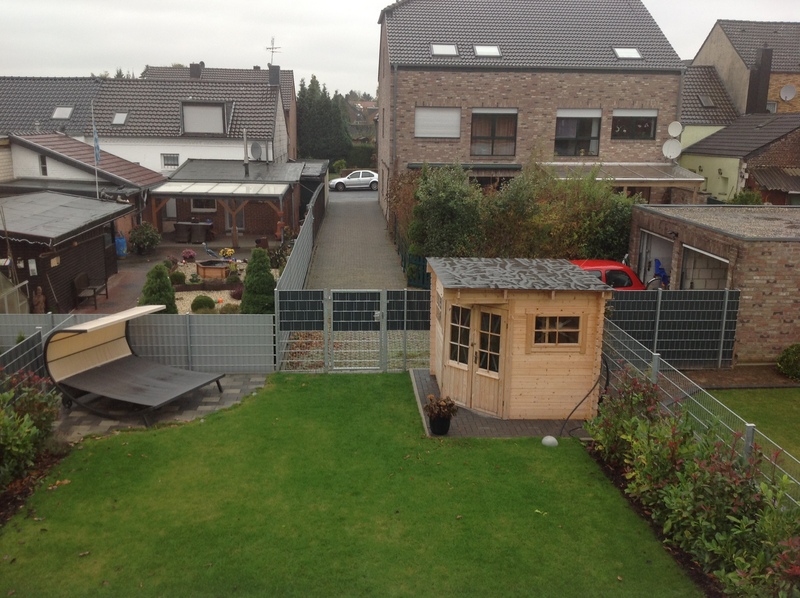 The measurements confirm that the changes are minimal. These are probably due to the individual differences between two screens of the same series. The average brightness is a decent 291 cd/m2. The black value is also good: 0.39 cd/m2. The resulting contrast is 838:1. The illumination of 84% leaves room for improvement. The brightness drops at the borders of the screen but these drops are not visible. In everyday use, the IPS panel of the iPad 4 provides a well-balanced picture (subjective). Thanks to the high contrast, we get to see some brilliant colors. The display is quite sharp. In fact, even when zoomed in, the smallest writing is absolutely clear. Movies and pictures benefit from the good black value but the panel cannot compete with an AMOLED display. The Apple iPad 4 suffers from the usual issues a tablet faces outdoors. Although the brightness is high enough, the strong reflections on the glass surface, which can be covered by fingerprints, are just too strong and can easily overwhelm the brightness reserves. We recommend seeking out a spot in the shadows. The viewing angle stability is also quite good. It has not changed since the third iPad generation. The colors remain clear and stable even at the flattest of angles. In fact, the glass reflections make the screen hard-to-read before the user can even find a viewing angle at which the picture quality would deteriorate. All-in-all, the viewing angle stability is quite high. The real improvements to the iPad 4 are in the performance section. Apple uses the 4th generation of its tablet to show off its latest processor: the A6X chip. This chip, like the A6 chip introduced a few weeks ago, is Apple's own creation. The A6X is a dual-core SoC (System-on-a-Chip) with ARM-compatible cores. The cores support ARMv7 command structure as well as the more advanced ARMv7s. The processor is produced in 32 Nanometer. Its clock speeds depend on the load and can go up to 1,400 MHz. Like in the predecessor (A5X), the X in the name refers to the strong graphics chip which accompanies the Apple processor (also found next to the A6 chip of the iPhone 5). Although the GPU of the A6 chip only has three processing cores, the A6X can boast of 4. In addition, Apple has installed a new GPU from the manufacturer, Imagination. It is called the PowerVR SGX554MP4. According to Apple, the iPad 4 is about twice as fast as the iPad 3. This can only be confirmed by the objective benchmark tests, as even the iPad 3 ran fluidly and had no problems with HD movies or 3D games. Apple has not exaggerated the performance increase, but sadly the user will not be able to make much of it. 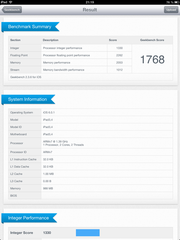 However, let us first take a look at the benchmarks. 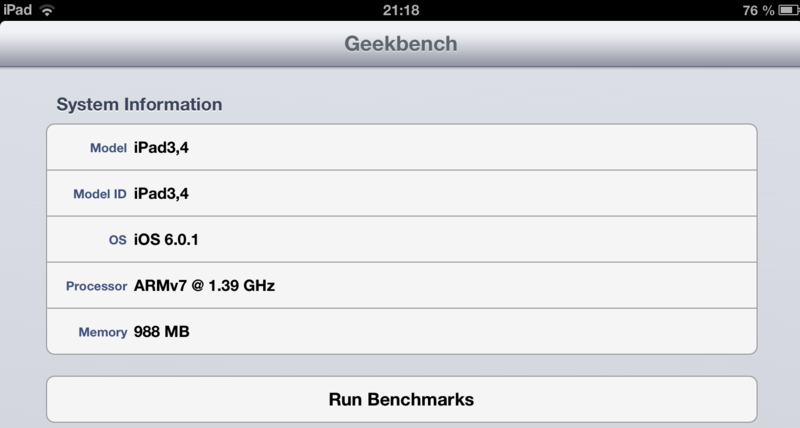 The popular Geekbench 2 gives the iPad 4 a score double that of the predecessor. The score of 1,768 points is slightly lower than those of the flagship products of Samsung (Galaxy Note 10.1) and Asus (Infinity TF700T). However in the memory test of Geekbench, the iPad 4 takes a clear win. This is a good indicator for high I/O performance. 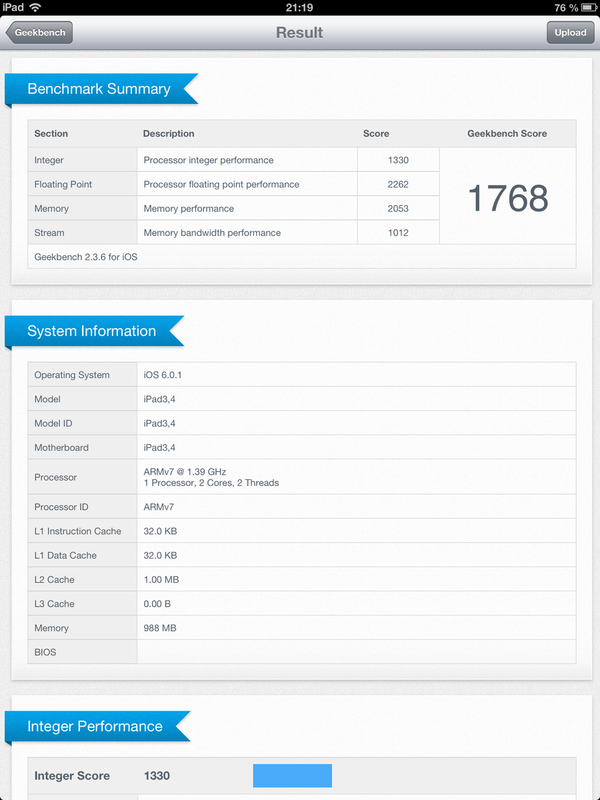 The CPU-heavy Linpack benchmark shows us that the iPad currently has no competition. In fact, it is quite the opposite: the iPad 4 leaves the tablet elite behind in the dust. The same is true for the GPU-heavy GL benchmark (version 2.5.1). The benchmark confirms the doubling of GPU performance to that of the iPad 3 and crowns the new iPad the GPU king. 43 fps in Egypt HD Offscreen test are great. The browser benchmarks paint a similar picture to that of the synthetic benchmarks. In SunSpider and Browsermark the iPad 4 is far ahead of the tablet competition. 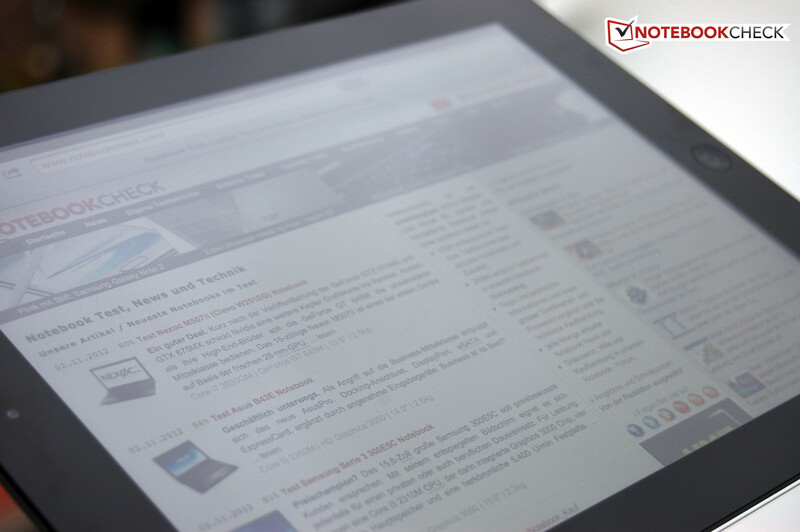 The Samsung Galaxy Note 10.1 can take first place, but only in the Google v8 benchmark. 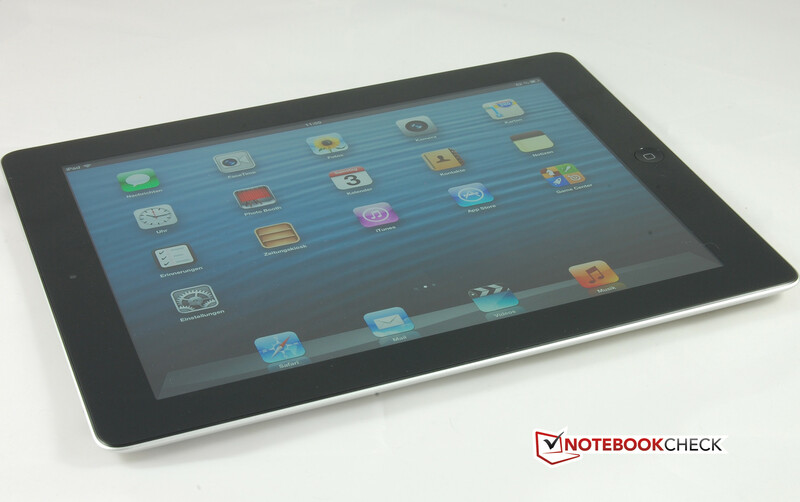 Overall, the iPad 4 offers excellent performance which should cover all needs of the user. The competition can only keep up in a few benchmarks and even when they take the lead, it is a very slight gap. 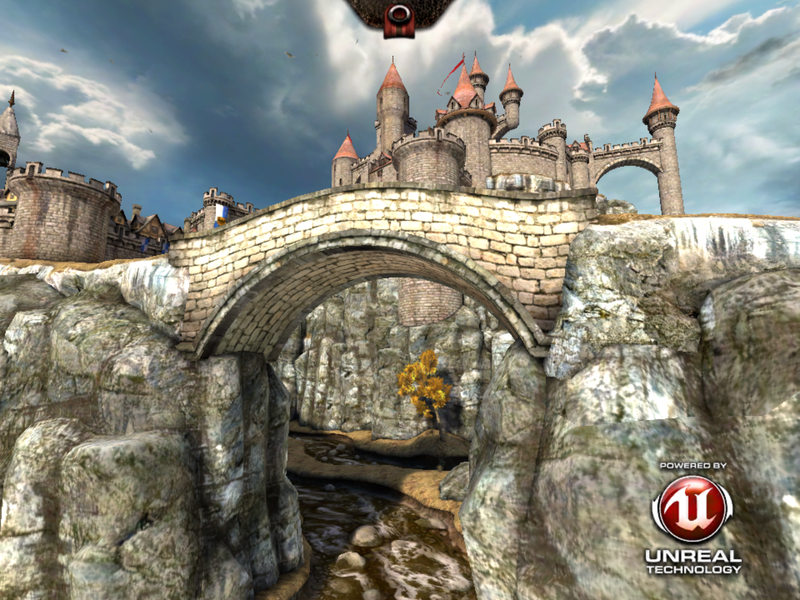 Thanks to the high CPU and GPU performance, new games are no challenge for the iPad 4. 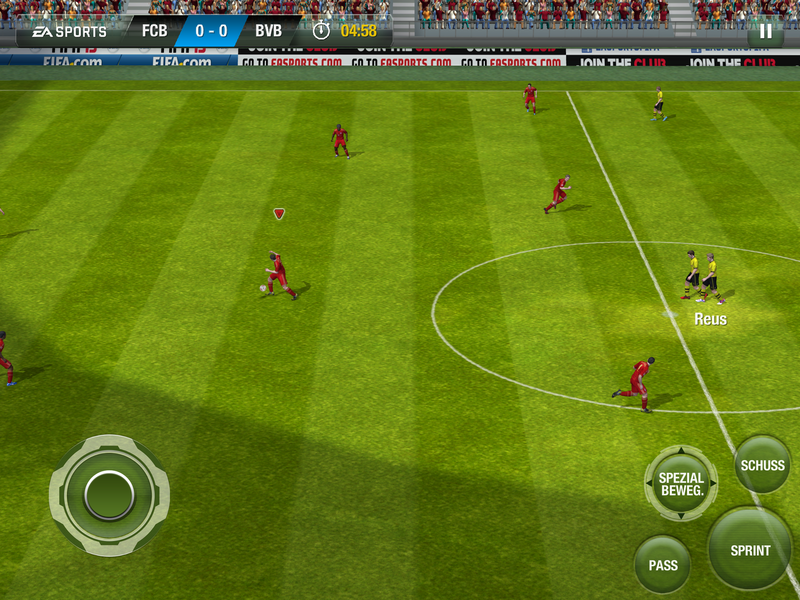 We ran FIFA 13, Real Racing 2 HD and Epic Citadel on the tablet. 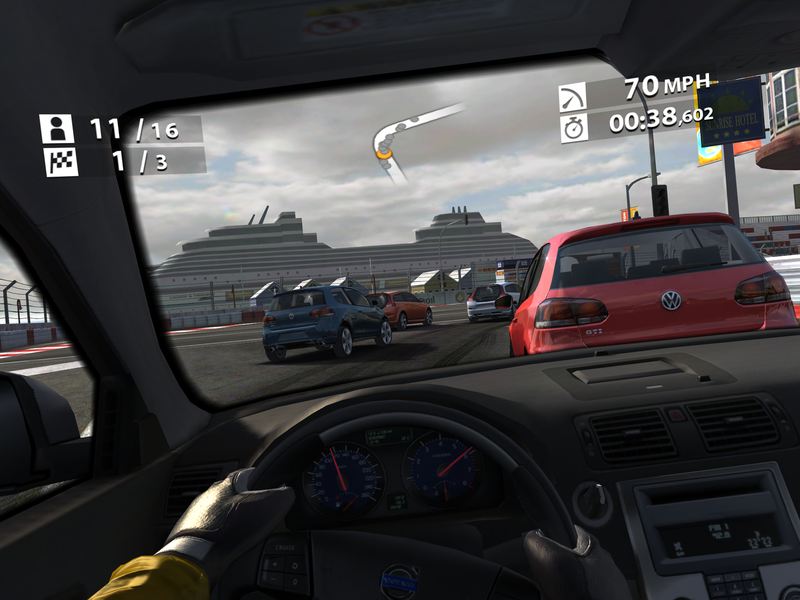 The two games run fluidly and the control is easy thanks to the precise touchscreen and sensitive gyro sensor. The iPad 4 is a great gaming console, but the measurements and weight are not ideal. ... are no problem for the iPad 4. 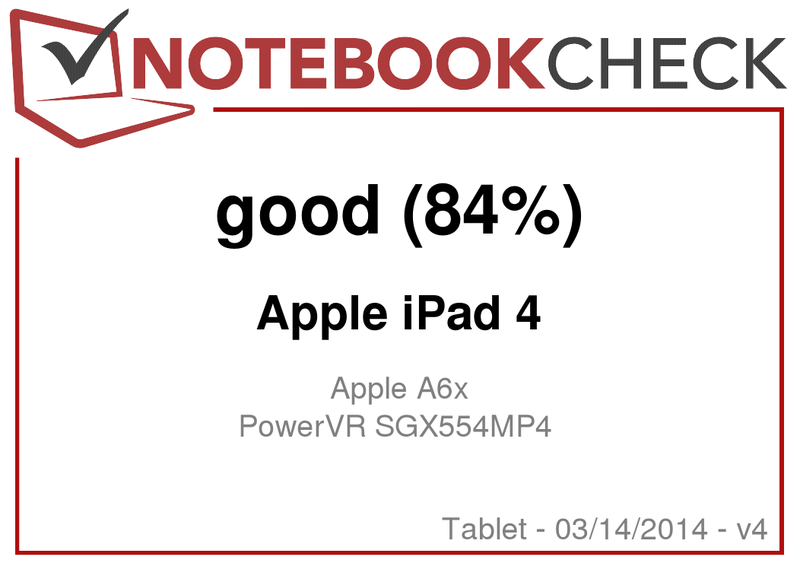 One of the few weak points of the Apple iPad 3 in our test was its relatively high temperatures (especially when the device ran at load for a long time). Apple has not done much about this. 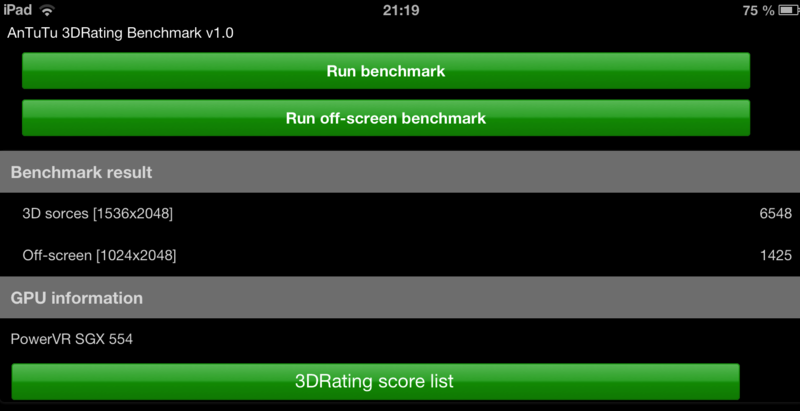 We tested with 3D games and the battery test of GL Benchmark 2.5.1. At full load, we measure a max of 40 °C on the iPad 4. While idle, the temperatures are a little more moderate, in comparison to the predecessor. The infrared thermometer measures between 27 to 33 °C at the 18 points of measurement. This means that the tablet only get as warm as the hand. (+) The maximum temperature on the upper side is 39.8 °C / 104 F, compared to the average of 34.8 °C / 95 F, ranging from 22.2 to 51.8 °C for the class Tablet. For this section, we can quote straight from the review of the predecessor: "Considering the build size of the tablet, the single speaker opening provides surprisingly loud and clear output. The positioning on the rear is not ideal as the sound is distorted/muffled when the iPad is placed on a table. However, in our opinion, the sound output is quite good for background music and game ambience sounds." The headphone jack of the Apple tablet provides good sound quality, just as before. Apple has stuck to the Lithium-Polymer battery of the predecessor. The battery offers a capacity of 42.5 Wh. According to the manufacturer, the battery life should still be the same, despite the stronger SoC. The power consumption is moderate. While idle, we measured between 2.6 W and 8.4 W. The actual consumption should lie around 6 W. At full load (GL benchmark 2.5.1), the tablet requires up to 12.5 W from the battery. This may be a higher consumption than Samsung's Galaxy Note 10.1 (at full load), but it is still well within acceptable limits. Apple is partially right when they claim that the battery life has stayed the same. In the Reader's test, we use an appropriate read script which runs at the lowest brightness with WLAN on and Bluetooth off. 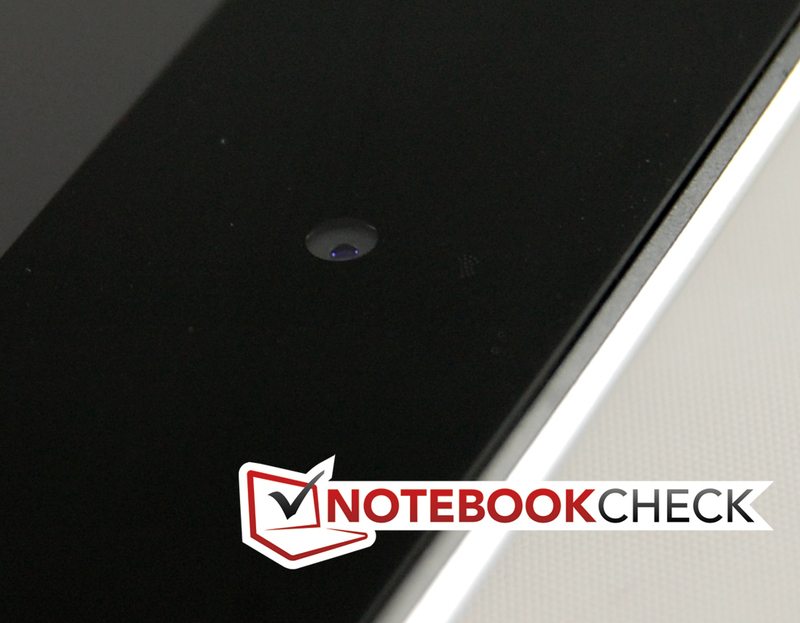 The iPad 4 lasts over 21 hours in this test - an amazing result. The result of the practical WLAN surf test is also great. Once again, a script automatically loads different websites, but this time the brightness is set to 150 cd/m2. The iPad 4 lasts a good 09:15 hours, which is one of the best results we have seen to date. Still, the iPad 3 was slightly better. At full load, the gap increases. The iPad 3 lasts 05:00 hours whereas the iPad 4 can only stay on for 04:12 hours. The stronger SoC delivers more performance at full load but also requires more power. Overall, the battery life is excellent. Once again, Apple presents a high performance tablet: the iPad 4. 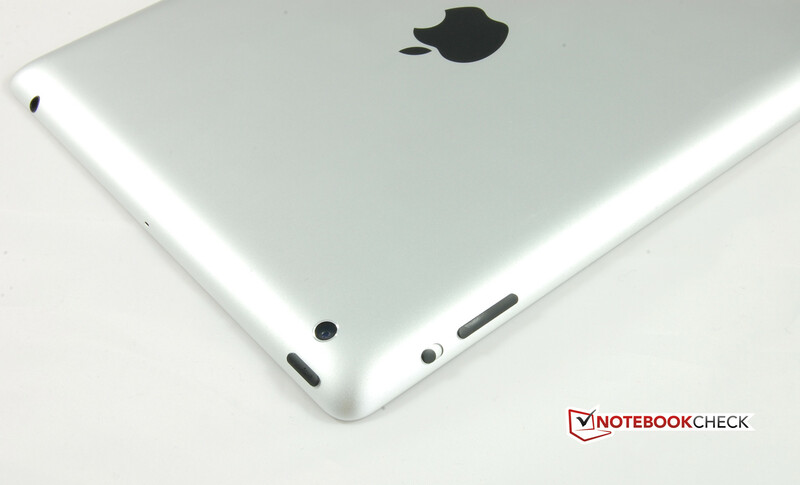 Apple has only made minor changes on the outside of the iPad 4. The device uses the new Lightning interface. This interface is far more compact and easier to use than the 30 pin dock interface previously used by Apple. Of course, this change will be disadvantageous to users of older iOS devices (besides iPhone 5). The old charging cable will only fit with the help of an adapter, which the user will have to purchase separately. The front camera has been improved. This is a big win for video chats. The rear camera is still better for taking pictures. However, the two cameras cannot capture great pictures. On the other hand, recording films is fun. An important change: the A6X chip. Apple speaks of up to 100% increase in performance (in comparison to the iPad 3). Once again, they are not exaggerating: the new SoC is very powerful and places the iPad 4 on the top of the tablet ladder. The iPad 4 puts up new records in both CPU and GPU performance tests, and in some cases, it can leave the competition quite far behind. The rest of the test sections produce almost identical results to the predecessor. 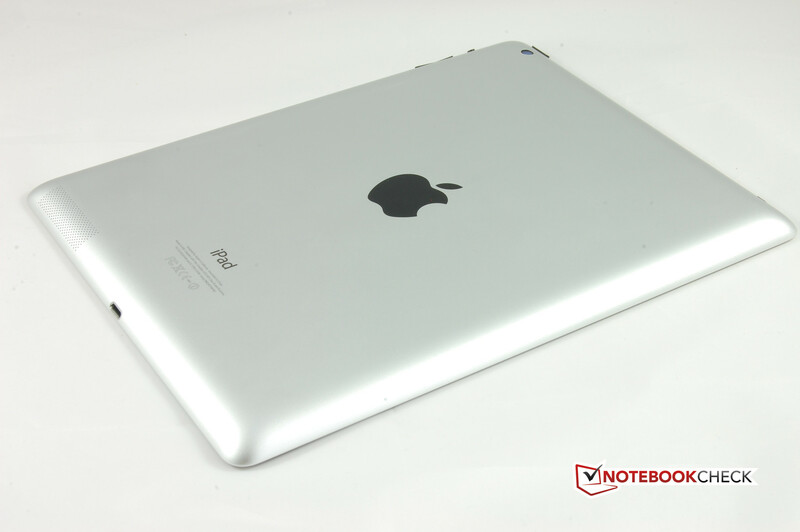 The iPad 4 has great workmanship and uses the best material. However, the aluminum body of the iPad is no longer the slimmest or lightest out on the market. The display is great and offers a high resolution. Still, the illumination and brightness could have been better. The color spectrum coverage and viewing angle stability are perfect. 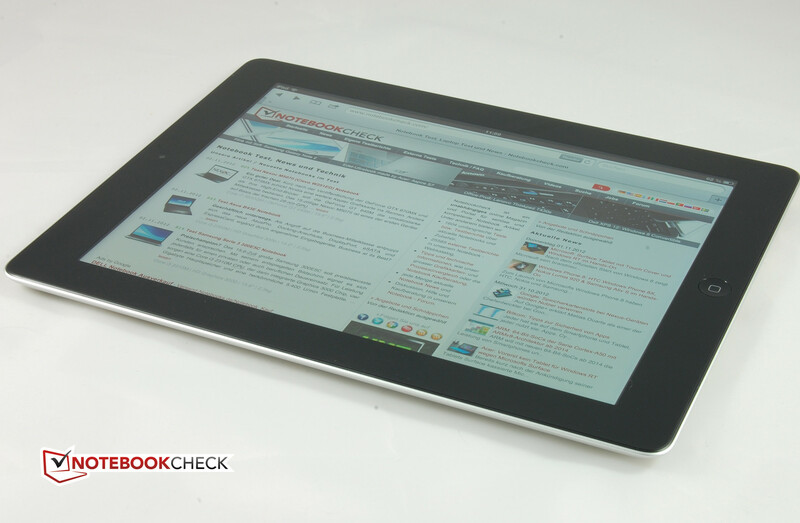 The verdict: buyers looking for a new, high-performance tablet, will find the iPad 4 to be a great choice. Of course, the buyer will have to come to terms with the Apple premium slapped on top. This is not so bad as when the tablet is sold, the user will get that money back. Those users, who already have an iPad 3, can comfortably kick back and wait for the next generation. 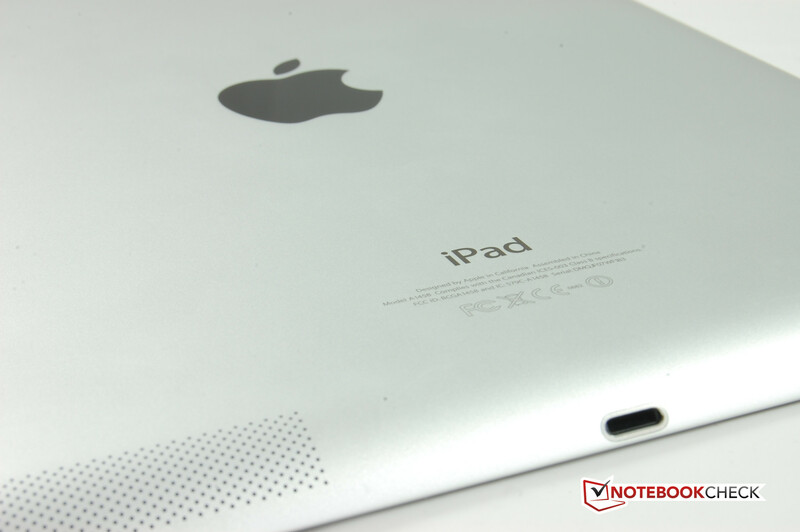 The third generation iPad is still one of the best tablets on the market. As such, an upgrade would not make sense. It requires new and expensive accessories. The Lightning interface is very small. The front camera is named FaceTime HD. The home button remains a central control. The way the tablet is used has not changed since the 2nd generation. The iPad 4 is no longer one of the slimmest tablets. ... and stays comfortably cool. The good performance and the front camera, which now offers better image quality for video chats. A slimmer and lighter case. In addition, the screen should be brighter. Apple has once again left the competition behind in the dust; this time, it is all thanks to the A6X chip. But, have no doubt, the competition will catch up. The iPad 4 has to hold its own against high-end models. These include the Samsung Galaxy Note 10.1 and the Asus Transformer Pad Infinity TF700T. The iPad 3 will also be a fierce competitor.